ESR | January 15, 2018 | From "Lone Wolf�? to "Known Wolf�? : The role of "cultural fuel�? and "personal triggers�? When a solitary 37-year-old Palestinian Arab, known both to the local Israeli community and to security forces as non-threatening, friendly and as having good relations with all drew a pistol and killed three Israelis in Har Adar in September 2017, many questions that challenged the traditional thinking of who is a potential terrorist were raised. If this individual, who ostensibly did not fit the “profile” of a potential terrorist, committed such an act, is there any way to accurately predict such behavior? More to the point, is there anyone that can be trusted not to be a potential attacker? The “lone wolf” phenomenon continues to pose extraordinary challenges to security forces and has become, as Charles Krauthammer stated, the “new nightmare.” Less rigorously studied than organized terrorism, it represents a “privatization” of terror that can be carried out by literally anyone and almost anytime, hence, the difficulty in early detection and prevention. Conventional wisdom among the Israeli political right consistently speaks of “incitement” as the critical element in accounting for terrorism, including lone wolf attacks. Among the political left, broader concepts of “lack of progress” towards peace and “frustration” appear to be used more. But despite the cause, these attacks are always treated with reverence by the Palestinian Arab press and in Palestinian organizations and institutions, with attackers being hailed as national heroes and families, as well as prisoners being rewarded financially. It is precisely this societal acceptance, reinforcement, and status that, as noted by Zuhdi Jasser makes these cases “known” wolves rather than “lone” wolves, since every member of the society is exposed to these factors and thus a potential “wolf.” But as demonstrated in a previous study, some young Palestinian Arabs feel that perpetrators of attacks all suffer from some sort of personal psychological or social distress which, if true, would point to these individuals being more at risk and thus more “known” to carry out an attack. However, while such distress may predispose these individuals to carry out an attack, it may not be the actual “cause” of the attack. Without the fuel of cultural support, the triggers would likely find another outlet or target. In this way, the attackers may fit the description of Yossi Kuperwasser as being like the first kernels of popcorn that pop in a microwave. However, while Kuperwasser’s description speaks of the popcorn “kernels” being randomly ignited, with every individual potentially subject to the same behavior, it may be the ones with predisposing factors (which may include personal and psychological distress) that “pop” first and fall into the “known wolf” category. While each factor carries with it an ideological-political basis (i.e., the right focuses on incitement as the major factor, the left on political frustration, Palestinian officialdom on national and Islamic pride) there may actually be multiple and indeed interactive forces at play. But, similar to lone wolf “active shooter” incidents around the world, it may also be possible that these behaviors are only peripherally associated with political or nationalistic motives, and are ascribed such motives only after the fact. Spaaij notes that to be classified as “terrorism” the main purpose of the attacker’s actions must be ideological or politically driven and not due to other, personal reasons. In the realm of Palestinian Arab terror, it may be helpful to look at two major elements at work. First, a “fuel” of cultural acceptability and veneration of those carrying out the attacks. Second, a “trigger” that activates the fuel and results in an actual attack. While not all global lone wolf actions (such as “active shooters”) necessarily follow this structure, Palestinian Arab lone wolf terror almost certainly does, with the presence of a strong ideological “fuel” almost ubiquitous in the broader society acting as a contributing factor. This fuel can be ignited by factors which place an individual “at risk” (“known”) for this behavior and reinforce the actions, notwithstanding the attackers’ personal intentions. Who Is a Risk for “Lone Wolf” Behavior? As noted in an earlier paper, to fully understand the dynamics of Palestinian Arab lone wolf terror, it is necessary to examine not only who commits such attacks, but also who does not. For example, until the July 14, 2017, attack on the Temple Mount, few, if any, cases of Israeli Arab citizens involved in terror have taken place. Moreover, it appears that when these attacks have occurred, they are related more to broader Islamic factors than to Palestinian nationalism. Indeed, when attacks by Israeli citizens take place, the rarity of the phenomenon leads to questions of motives, unlike more common traditional Palestinian violence where the motive is assumed to be nationalistic. The investigation into another attack by an Israeli Arab similarly showed the motives to be broad Islamic factors rather than nationalistic based; this is a finding that would support the notion that individuals subscribing to this ideology would be more “known” as potential attackers. Another subgroup that historically has not been involved in attacks are Palestinians with work permits. While the Har Adar attacker did have a work permit, this was a striking exception to the lack of terror activity in this population, seemingly making this population less “known” to carry out an attack. While Jerusalem Arabs do not require work permits, they have indeed been involved in terror attacks. However, significant and integrated work venues with large Palestinian Arab work forces, particularly hotels and hospitals as well as supermarkets and restaurants, have never had a terror attack perpertrated by their employees, despite the presence of means (knives) and opportunity (Israeli Jews and tourists). Questions can be legitimately raised as to why those who are employed in these particular venues, Israeli Arabs and Palestinians with work permits, have generally not been involved in terror. Does the absence of terror in these populations point to the absence of “fuel” (i.e., incitement) or does it perhaps mean that certain “triggers” are not present to ignite the fuel? Triggers can be personal, such as individual psychological or social distress, or they can be environmental, such as a signal or message in social media, or a “dog whistle” by the political leadership to act. When the trigger is presented, however, will those with a greater concentration of “fuel” would be more likely (“known”) to react? Are “Lone Wolves” Psychologically or Socially Distressed above and beyond Their Peers? Although saying that a “lone wolf” attacker has personal issues may seem to some to be logical and obvious, attributing such motives as a factor in these attacks is encumbered by political constrictions of both the right and the left. On the right, such reasoning is quickly dismissed and attacked as excusing away terror through what some, like Deputy Foreign Minister Tzipi Hotovely, consider media “psychobabble,” which provides an alibi for intentional incitement in Palestinian society. On the other hand, witness this reaction by Michael Waltzer to psychological explanations for terror behavior (by Avner Falk). He speaks of such explanations simply being “left-wing excuses for terrorism” and chooses to dismiss the psychological and focus solely on the political. Maybe psychologists have something to say on behalf of understanding. But the only political response to ideological fanatics and suicidal holy warriors is implacable opposition. The left, as noted by Seth Frantzman, may also minimize personal motives and focus solely on ideological-political issues such as “lack of diversity” in accounting for terror. This is the logic that underpins why our society always sympathizes and excuses serial killing terrorists. Can anyone imagine someone giving a speech in Congress saying that the lack of having southern white men in cinema would drive them to join the KKK? Not enough Germans portrayed positively, then they have to join the Nazis? Why is it if you don’t have enough Korean actors portrayed in cinema in the UK, that Koreans don’t all become “extreme”? The specific measures May proposed since the London attack are even more shocking than her racist rhetoric: increased surveillance of Arab and Muslim communities, tighter regulation of the Internet, escalations in the war against ISIS in the Middle East, even new laws to “ban the burka” and strip convicted terrorists of their citizenship… This will produce the exact conditions that drive some individuals among the persecuted in Britain to lash out, in despair and bitterness, with further acts of terror, whether these are coordinated with reactionary Islamist forces such as ISIS or not. Even when a cogent analysis of lone wolf terror is presented by progressive writers, as in an ACLU presentation by Matthew Harwood, the conclusions and lessons to be learned seem to be political, i.e., avoid violating the civil rights of individual Muslims. In Palestinian Arab society, public explanations are always ascribed to nationalistic motives, and terror acts are almost never (except in the case of particularly heinous attacks) condemned publicly (although individual “off the record” condemnations do take place). This has not prevented the Israeli political echelon to repeatedly demand such condemnation, even though unconditional condemnation (as opposed to “terror on both sides”) usually never happens. Palestinian press tends to focus on the victimization of Palestinians as an aftermath of these attacks rather than condemnation of the attack itself. Scholars and researchers need to be able to present explanations for lone wolf attacks, which can be studied and considered without becoming embroiled in political controversy. Such explanations in a scientific study are not “either-or” options, and the psychological factor may co-exist within a political framework. This is often difficult to present, with any description that includes psychological factors mistakenly criticized as attempts to “normalize” or “explain” an attacker’s behavior and thus met with derision and bafflement. The reasons behind lone wolf terror attacks are increasingly seen as varied and taking a “one size fits all” approach may be expedient politically or ideologically, but may also be inaccurate scientifically. When it comes to the “lone wolf” turning into the “known wolf,” the standard rulebook is a work in progress, with new cases shedding light on factors not always previously considered. Being stuck in an ideological bubble clouds the understanding that such new information brings. The Har Adar attack, where a seemingly “normal” individual carried out the murder of three Israelis is one such presentation. Despite the appearance and behavior that the Har Adar residents ascribed to the attacker, reports claim that he was beset by serious family issues, with his wife leaving him a few weeks earlier. More importantly, the attacker differed from other lone wolves in that he did not broadcast extremist views to others in his immediate social environs. While these observations have yet to be verified definitively, the appearance of “normality” of the attacker has created yet another set of criticism from those who see any psychosocial component as an illegitimate cover for terror activity. Whether or not the Har Adar attacker, who was killed in the attack, had personal motives is a clinical question not easily answered without more definitive information, but what is clear is that whatever the motive behind the attack, it will be used by each ideological and political camp for their own purposes. Whether or not the intention was nationalistic, Palestinian media and officials will define the attack as “martyrdom” and declare the attacker a hero. 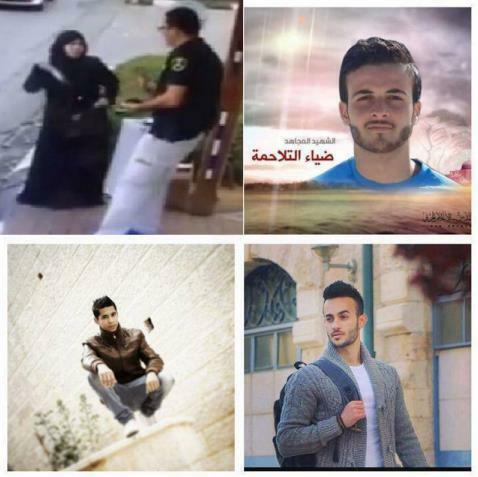 And even if the attack was shown to be a vehicle for some personal grievance unrelated to nationalism, others will declare it another example of how incitement inflames Palestinian to terror or how desperate conditions fuels violence. Yet, the common denominator that cannot be ignored in almost all Palestinian Arab lone wolf attacks is the cultural factor of support for these attacks, with a strong almost romantic religious element of “istishihad” [voluntary martyrdom, which results in no pain upon death]. This is true whether or not the attacker intended it as such, as the society at large will inevitably support the attack, and the attacker will serve as a model for future attackers. Leadership promotion and societal acceptance of false and racist narratives regarding Jews and Israel (see Kuperwasser’s “pillars”) is multifaceted and broadly accepted in Palestinian society. This behavior, along with overt reinforcement and praise for attackers, creates a cultural atmosphere (the “fuel”) that supports violence against Israelis. While specific subgroups of Palestinian Arabs are more likely to carry out lone wolf terror attacks; certain subgroups of Palestinians have never carried out terror attacks, despite means and opportunity and despite being exposed to incitement narratives. There may be “known” protective factors operative in these populations that should be identified. There is evidence that lone wolves carry with them a higher level of psychological and/or social distress. This can be considered a potential risk factor. The venue plays a role in the likelihood for violence. Palestinian Arabs in Jerusalem, Judea and Samaria are more likely or “known” to be violent than those who reside in Israel proper with Israeli citizenship. The evidence appears to show that “lone wolves” can fit different profiles. One possibility (politically incorrect to the right-wing) is that the behavior is a socially acceptable means of acting out that is more related to psychopathology or other socio-personal issues than to ideological drive. Sometimes, this can be misused and grossly misapplied, as in the case of the Fort Hood shooting by someone clearly motivated by Islamist ideas being labeled as “workplace violence.” But other cases of seemingly “good guys” who go on to commit atrocious acts show that such behavior is not always only in the realm of the ideological, but can also be in the realm of criminal or psychopathological behavior. From serial killers, to those with hitherto unknown personal issues, to ordinary people next door, cases of individuals who commit violent acts without warning are not uncommon. Complicating this picture in Palestinian terror is the predictable self-sacrifice that comes with attacking security forces and behavior not unlike the phenomenon known as “suicide by cop” with at least one such (unsuccessful) attempt behind the alleged “terror” attack by one Israeli Arab woman. Other attacks by Palestinian women where they have been or were likely to be killed have been attributed to attempts to atone for social-religious transgressions, such as having an adulterous affair, becoming pregnant out of wedlock, etc. If, as some evidence suggests, Palestinian Arab lone wolves carry a higher degree of psychological and social distress, it may be that their attacks have a functional purpose that fits under the guise of a noble and ideological act. Functionally, they may be suicidal, but cultural proscriptions against this behavior and the shame their families would face prevents them from taking their own lives. It is important and critical to note, however, this does not negate the central contributory influence of factors referred to as “incitement.” The social acceptance of antipathy towards Jews (and Israelis) and the approval of violence as a means of “resistance” and rectifying perceived injustice may make the exploitation of terror the perfect vehicle for attackers with non-ideological grievances. Among Palestinians, suicide rates are an issue, with data showing the rates similar to that in Western society. Some attempt to attribute this to “despair by the occupation” although the phenomenon appears to be fueled by psychological issues and family disputes. Murder rates are also reported by the Palestinian Authority, and to the degree the data is reliable, they reported 54 homicides in 2015. And while, as mentioned earlier, Israeli Arabs have not been involved in terror activity, they account for 59 percent of the murders in Israel (almost three times their share in the population). Presumably, none of the murders reported by the PA or Israel involving Arabs have an ideological basis or are considered terror-linked. The presence of an ideological cover for a violent act may be convenient, but in all probability ideology alone is not the sole or even primary motive when criminal, psychological, or social issues are a major force driving the behavior. Without the ability to “save face,” it may be that the act would not have taken place, but it is also possible that it simply would be part of the mundane statistics of other criminal behavior such as noted above. For cases where psychological issues or personal or family distress drives the behavior, being seen as a martyr may be a side benefit, but not the major reason for committing the act. Recognizing this possibility does not diminish the need to call out and condemn the consistent cultural messages in Palestinian Arab society that have long existed, which have created an atmosphere where violence against Jews is accepted. However, to accurately analyze and address the issue, the science and not the ideology needs to be the determining factor. Sometimes there are exceptions to the rule, while at other times the exception is the rule. Appropriating an individual’s behavior for a political purpose takes place whether it is from the right, the left or from the source of terror itself. For example, in the Las Vegas shooting at the Mandalay Hotel, perpetrated by a non-Muslim “lone wolf,” ISIS was quick to take credit for the action, although the FBI denied any connection. Curiously, the claiming of responsibility by ISIS then allowed the left to point out that more white men than Muslims are involved in shooting attacks and the right, to further speak of the dangers of Muslims in the United States. In the case of the Sutherland Springs, Texas church shootings on November 5, 2017, the shooter, Devin P. Kelley, had a serious and strong mental health background with a documented history of violence, even escaping at one point from a mental hospital. This did not stop both sides of the gun control debate to weigh in with their respective opinions despite the “known” quality of the perpetrator’s behavior and the revelation that it was a reporting error (and not a failed policy) that mistakenly allowed him to be able to purchase weapons legally. Ideology sometimes takes a back seat to practical considerations in Palestinian society as well. In a recent interview on Palestinian TV, one official stated that Palestinian minors commit terror acts not to hurt Israelis necessarily, but primarily to enhance their status in society. In short, the evidence and reality often are at odds with the ideological or political interpretations that are common following acts of violence, including acts of terror. Moving from looking at the “lone wolf” towards identifying the “known wolf” may require expanding examination of the ideologically based broad-brush characterizations that are common following these attacks. While there is always “fuel” at play (such as societal incitement) looking at and considering other empirical evidence, including evidence of psychological, social, and other personal “triggers,” will ultimately aid in identifying those who should be “known” as potentially liable to carry out attacks. Irwin J. (Yitzchak) Mansdorf, PhD., is a clinical psychologist and a fellow at the Jerusalem Center for Public Affairs. He directs the Center’s Israel-Arab studies program for university students.